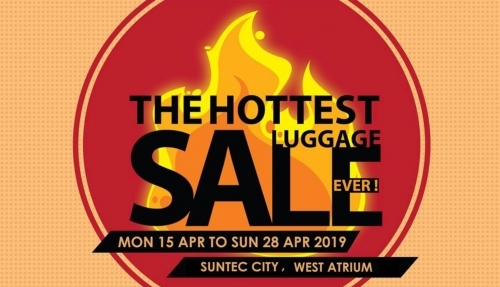 The Hottest Luggage Fair Ever! Gear up for your holidays with great deals on luggage, backpacks and travel accessories from brands like Delsey, Traveler’s Choice, Pierre Cardin and many more! Be sure to pay a visit to the Luggage Fair located at the West Atrium (now on till 28 Apr 2019), a one-stop event for all your travel needs!